12 x 27 x 15 ft. Originally installed at ODETTA Gallery in Brooklyn, New York. The shape is an exact tracing from a boulder in Central Park. A musical score was composed by RSM, who based the composition off from the tracing of the rock's surface. The sculpture traveled to Real Art Ways in Hartford CT. where the Hartford Symphony performed RSM's musical score beneath the structure. 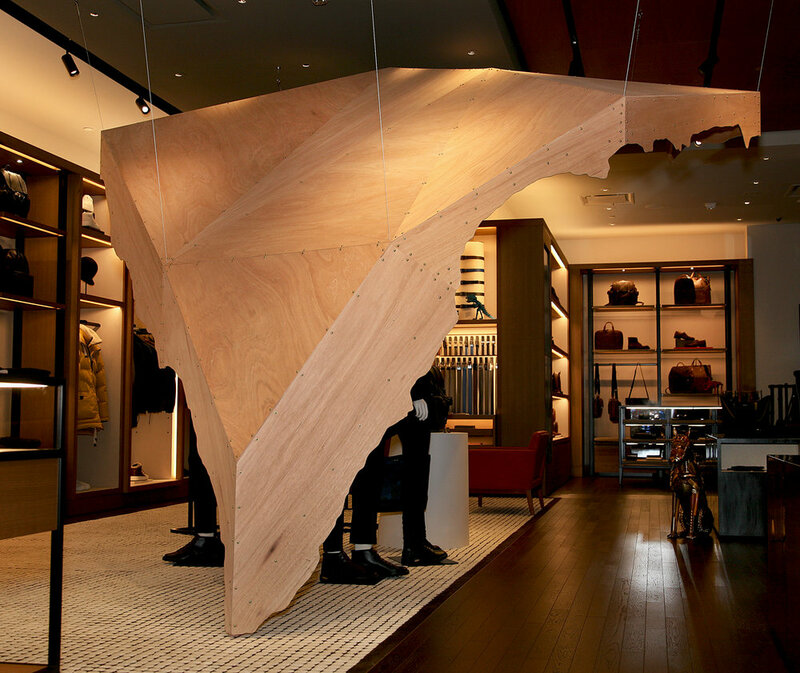 A second version of Scribing the Void was commissioned by Coach Inc. and resides at their flagship store at 54th and Fifth Ave in Manhattan NY. (Read more about Scribing the Void on the Statements page).